Online Weight Training Programs Are They Worth Your Time? Weight Training Programs And Complete Health And Fitness! Online Weight Training Programs have proven to be one of the most effective methods for helping to maintain ones motivation and drive to achieve their health and fitness goals. If you are looking for the perfect exercise regimen that fits your lifestyle and budget an online fitness training program is the way to go. Everyone is always looking for the magic solution for losing weight and getting in shape but they fail to see the real solution to their health problems lies in their motivation. You often hear of the stories where someone has gone out and bought themselves some top of the line weight training equipment and soon after they become nothing more than a place to hang their coat. Online Weight Training Programs What Good Are They? Online weight training programs work so well because there is that added bit of accountability. Just like most things in life people tend to perform better when they know that they are being held accountable in one way or another. We all show up to work everyday because if we failed to we would not hold the job for very long. We show up to school everyday because we are held accountable and this carries over into our college years, we put in the effort to succeed because it's expensive. You can see my point. The really great part about online weight training programs is that you don't have to pay a personal trainer and you don't have to join a gym. I was a professional boxer for 15 years and following that I owned my own gyms where I worked as a personal trainer. I have been an athlete all my life and fitness training along with nutrition are two areas that I would consider myself to be more than qualified to speak of. There are plenty of online weight training programs to choose from but they are not all equal, not by a long shot. I have been given free access to many of the online training programs so that I could review them and make recommendations to my clients and gym members. You might be thinking why I would recommend an online fitness program to my customers. Well the thing is just about 11 years ago I was diagnosed with a rare genetic disorder that has rendered me disabled. It became clear to me that I would have to sell my gyms and refer my clients because it was just too much trying to just manage everything, I was more of a hands on type of person. Why Would I Promote Online Weight Training Programs? Once I knew I would be selling the gyms I turned to the Internet to look for programs that I felt strong enough about to recommend to my customers/friends. It was pretty easy to dwindle down the multitude of online weight training programs to a reasonable amount for me to run my personal reviews of. After weeding out the worthless programs I then contacted the owners/trainers of the programs I thought looked the best and explained my situation and they were more than happy to offer me free access to their routines in hopes of gaining my recommendations. For the sake of time I will cut to the chase and just simply tell you that the top three online fitness programs are the only ones that you will find on this site, unless some new ones appear that I think are worth reviewing. I could not really say which of the three is the best because they each offer something unique so all I can say is that any of the three would be a great choice. So if you are serious about getting in shape I highly recommend that you try one of the three online weight training programs that I reviewed. Incredible Deals On Weight Training Equipment New or Used! At Weight Training For Maximum Fitness and Health You'll Find The Top Online Weight Training Programs And The Best Prices Online For Weight Training Equipment. 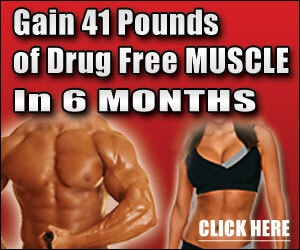 Top Rated Weight Training Program! Weight Training Fitness And Nutrition! Pack On Rock Solid Muscle!